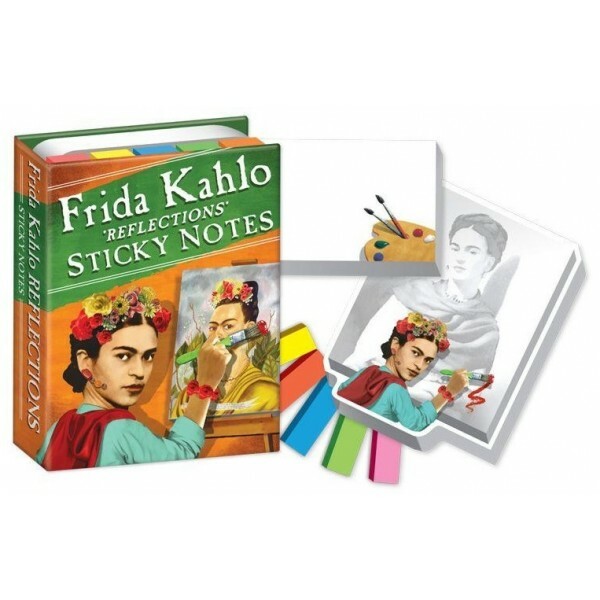 Pay tribute to groundbreaking artist Frida Kahlo with this hardcover booklet of sticky notes from the Unemployed Philosophers Guild! This 3 1/4 by 4 1/4 inch booklet includes hundreds of colorful self-sticking note papers, perfect for home or office. 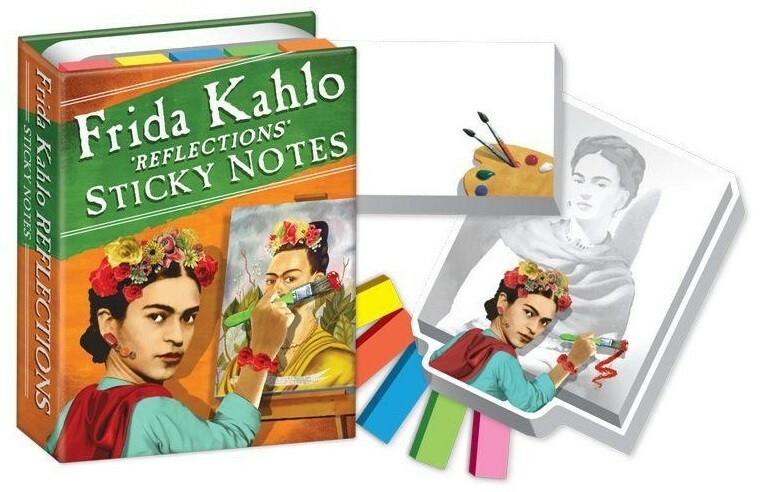 The full-sized notes depict Kahlo at her easel; the half-sized ones have a painter's palette and brushes in the corner; and small flag stickies in red, green, blue, orange, and yellow complete the set. For more stationery and other supplies, visit our School Supplies Collection.